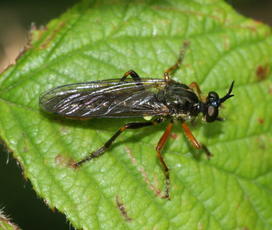 Size approx 15 mm. 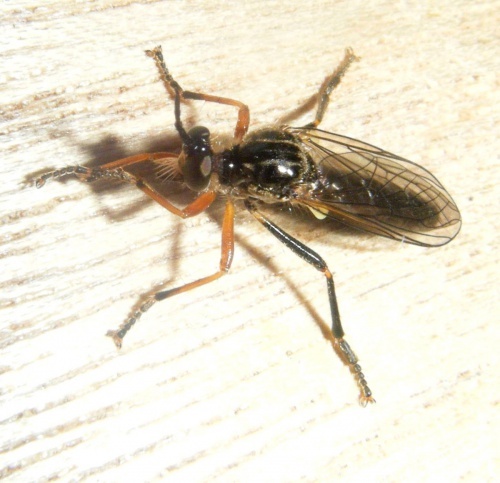 The front 2 pairs of legs are usually completely orange-red and the hind legs almost wholly black, though variants do occur (see image below). All Dioctria species have shiny patches on the side of thorax which in good light show as silvery patches or 'shimmer stripes'. 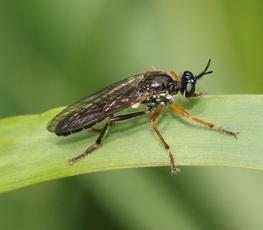 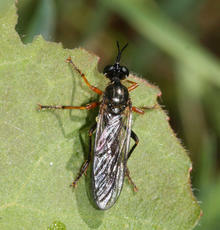 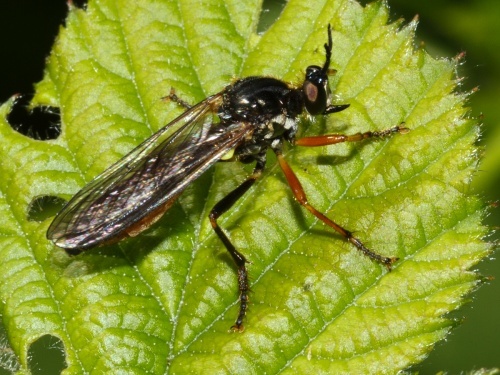 D. rufipes has a particularly well-developed tubercle at the base of the antennae which helps to distinguish it from other Dioctria species. 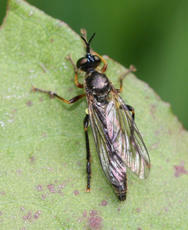 Scrub and well wooded areas. 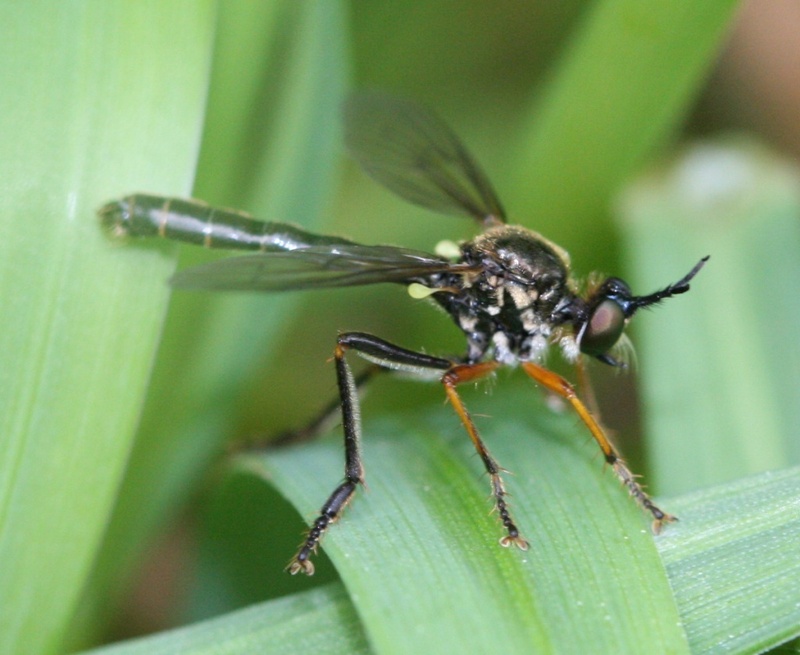 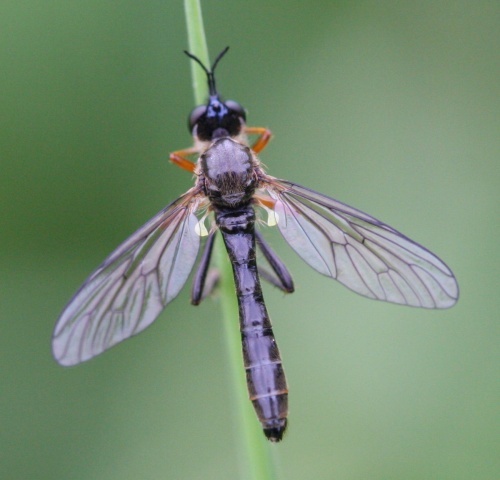 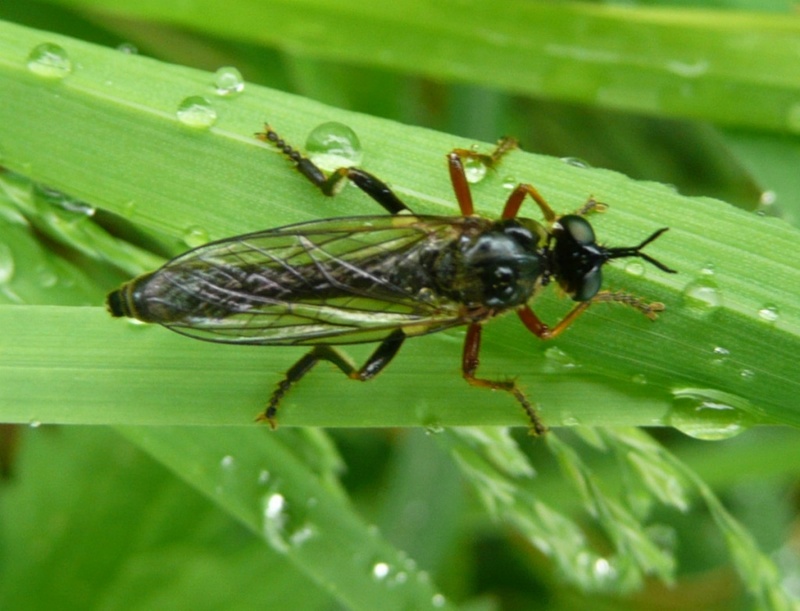 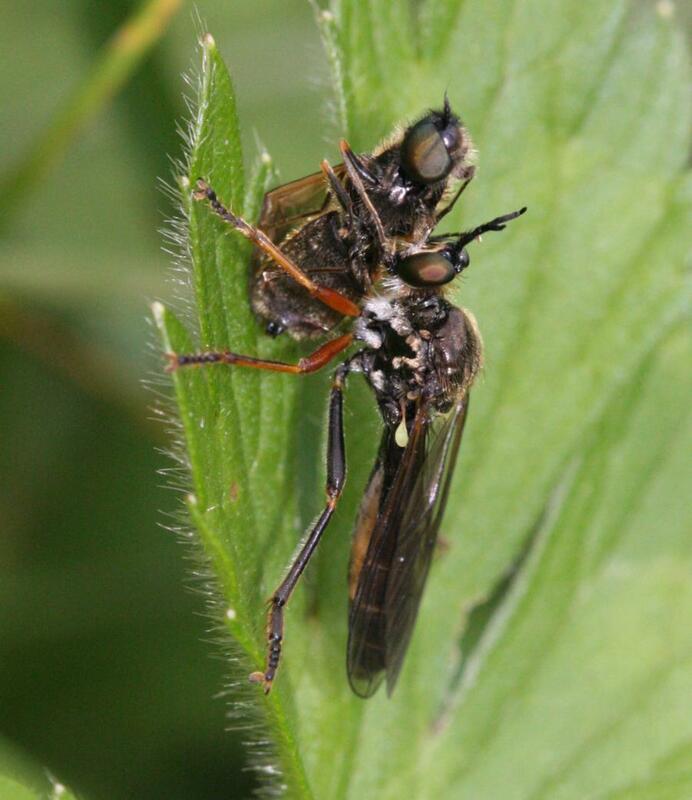 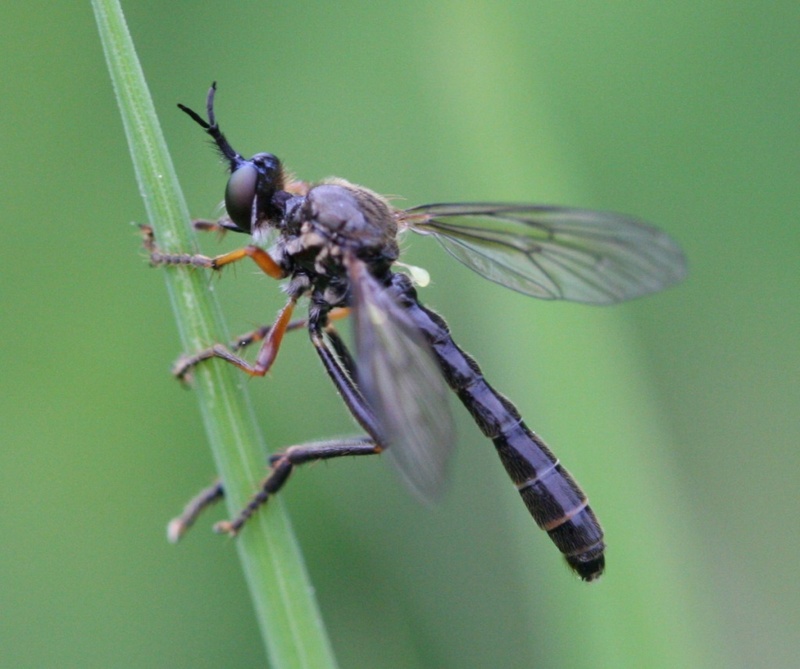 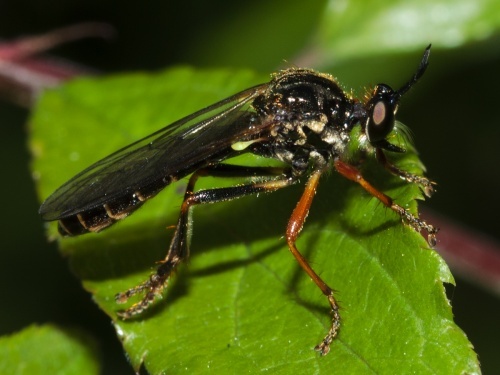 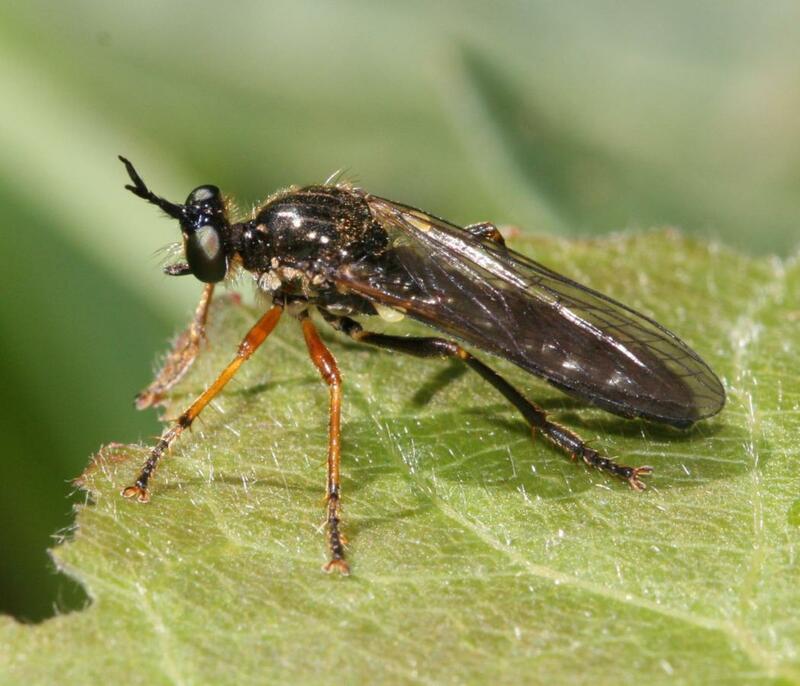 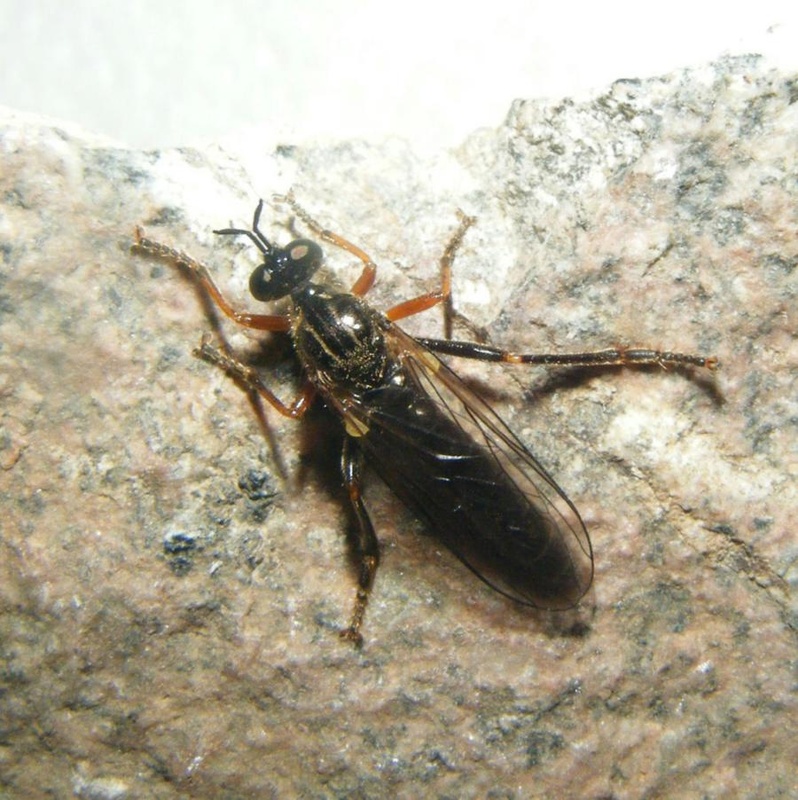 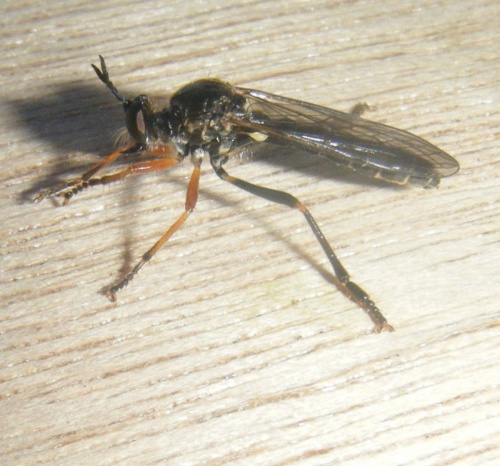 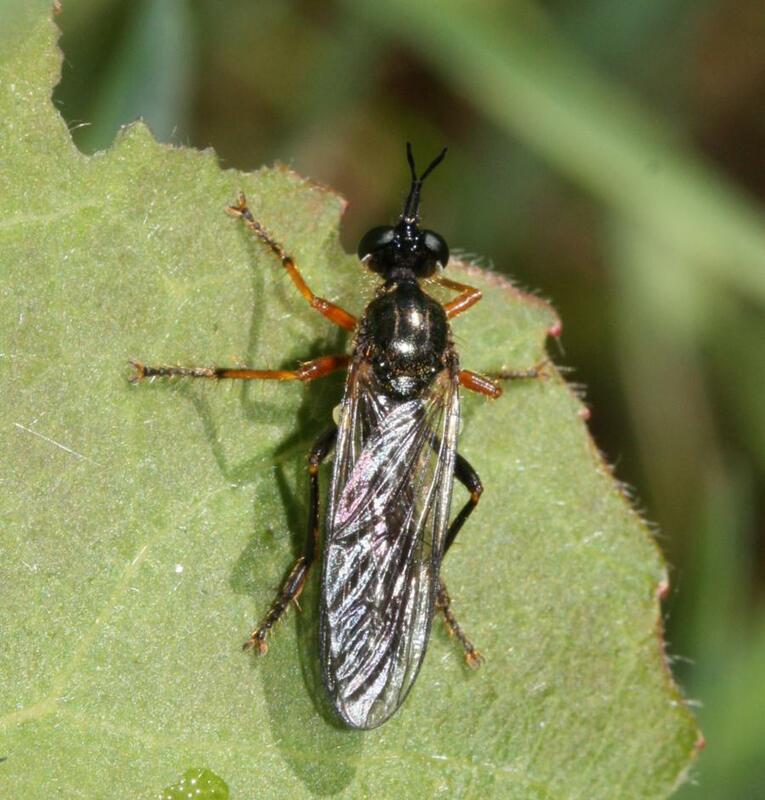 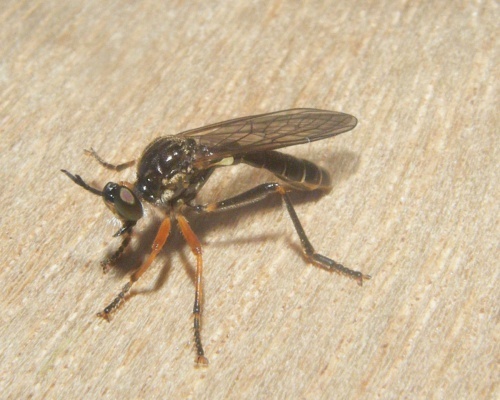 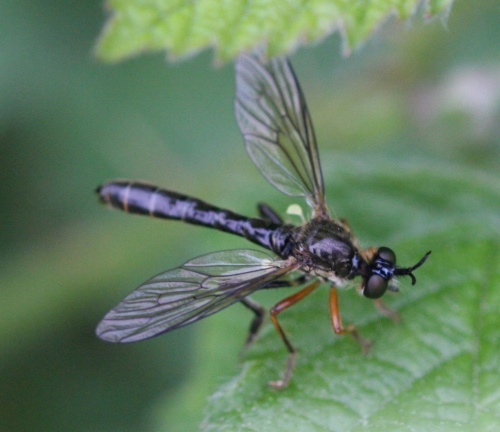 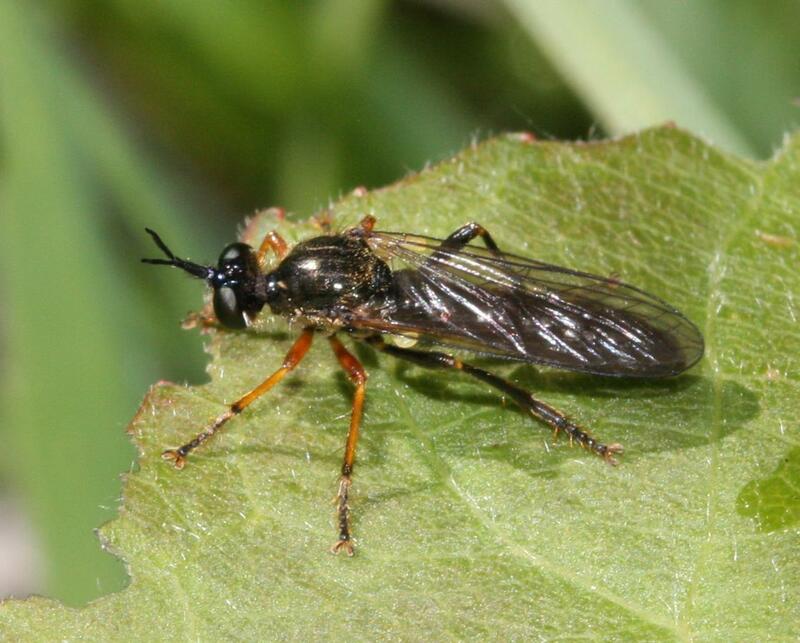 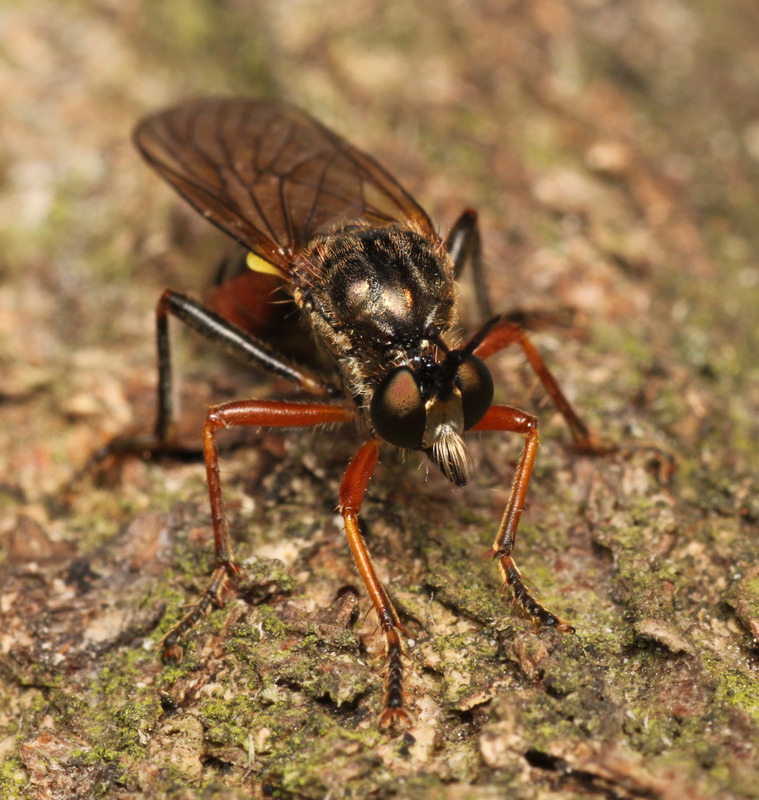 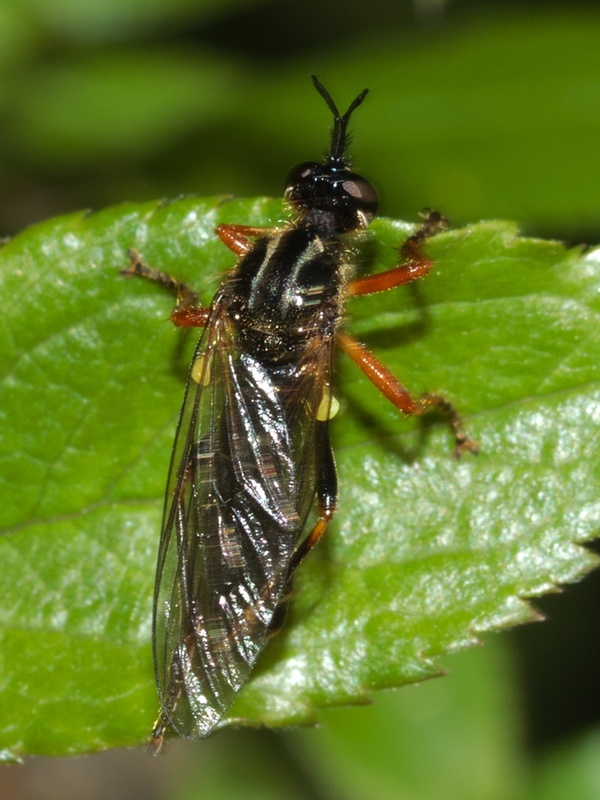 They are usually sluggish flies that perch on the foliage of mainly herbaceous plants, shrubs and trees waiting to launch attacks on insect prey. 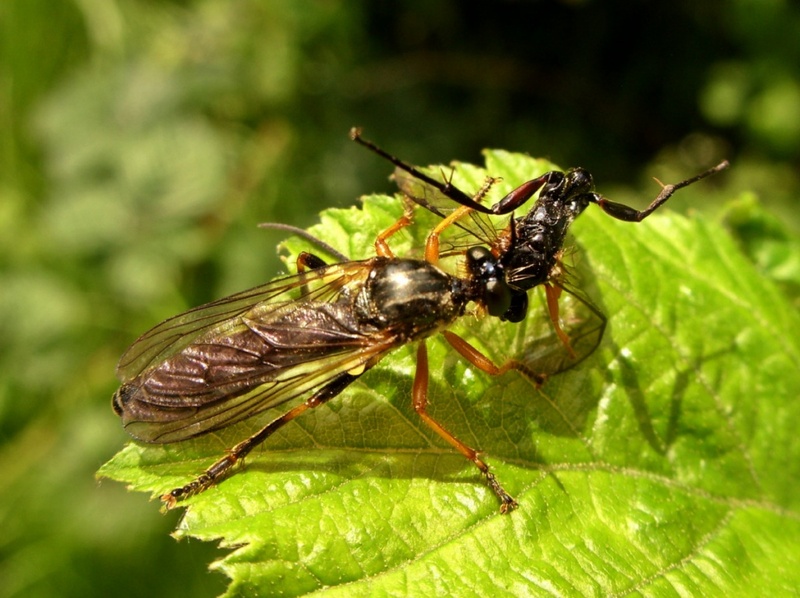 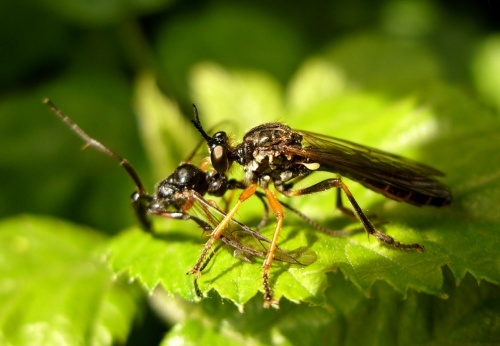 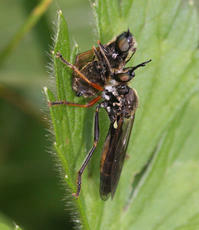 They have hard piercing mouthparts and often prey on parasitic wasps. 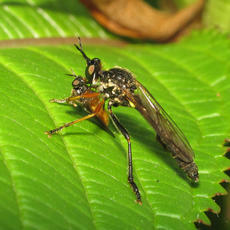 The eggs are dropped whilst sitting on a leaf, one at a time. Widespread but rather local in distribution.